Wall Safe with key lock and mechanical combination. 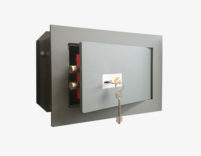 Home>Safes>Wall>Wall Safe with key lock and mechanical combination. 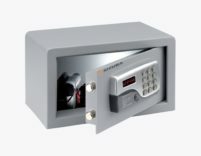 Safe with key lock and mechanical combination. 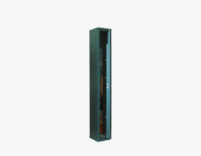 The mechanical combination with 3 discs combined with the key increases exponentially the inaccessibility to the safe. 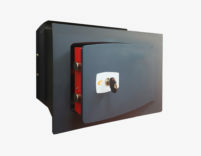 This safe to wall is available in 3 colors: white (RAL 9001), grey (RAL 7031), black. Tempered steel plugs to protect the lock combination pin. Six-blade combination system with combination cutting on twelve teeth independent form. Combination system with three knobs with twenty positions each. Welding of the front system-continuous body to ensure maximum resistance to break-in. Door stop obtained with drawn section 35 × 5-10 mm, welded on three sides inside the frame. 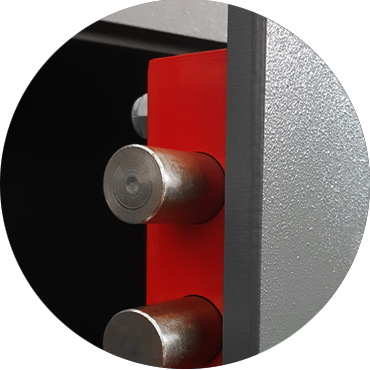 Thanks to laser cutting technology, the coupling lights are uniform, and a perfect thread has been obtained between the door and the frame. Rotating and independent antiread locking pins in chromed steel. Door and frame made of 10 mm thick treated steel. Wall Safe with key lock. The double-bit lock is practical and safe. It requires custody of keys in a safe place. This safe to wall is available in 3 colors: white (RAL 9001), gray (RAL 7031), black. 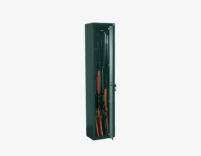 Lockable safe with European Profile cylinder. 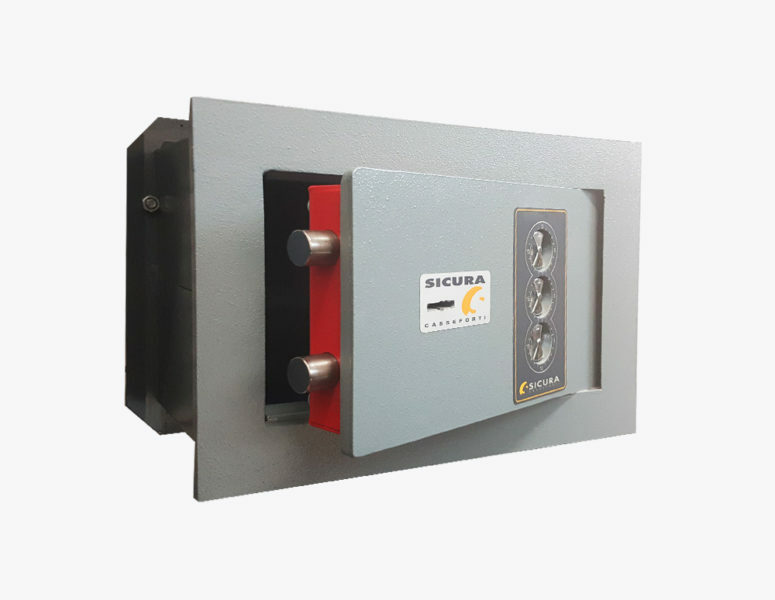 This model of safe offers the advantage of having a short key and can easily replace the cylinder in case the end user wishes to unify the lock of the safe with other locks (possibility of burning or execution in KA at key centers specialized). 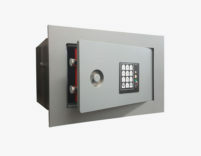 Electronic combination safe. Recommended for those who use it frequently allows a quicker but safer safe management thanks to the infinite possible combinations. 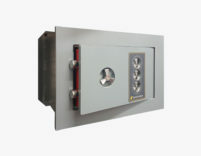 This safe to wall is available in 3 colors: white (RAL 9001), grey (RAL 7031), black.